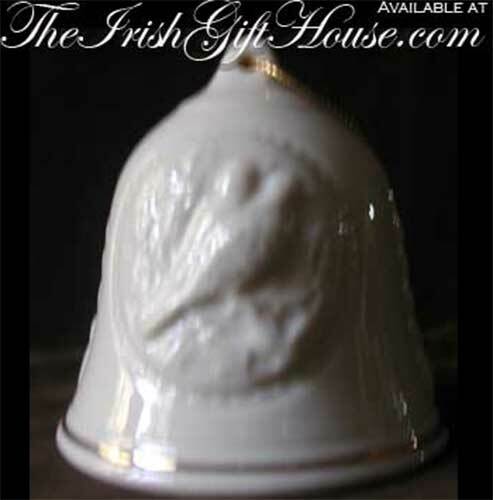 Sorry, this retired Belleek ornament is now sold out. This Belleek ornament features two turtle doves that are embossed on a fine china bell. The Belleek Second Day of Christmas ornament is a double sided design that is enhanced with gold accenting. The Belleek Christmas bell stands 2 1/2" tall; it is ready to hang on your tree with the included gold cord.